Engaging with Dolphin Research Center on social media with your likes, comments and shares also helps DRC connect with even more people. Don't forget to use #DolphinResearchCenter on your photos and updates. You can even share them with other Florida visitors using the hashtag #LoveFL! How has visiting Dolphin Research Center inspired you? What have you learned or experienced by getting to know the dolphins and sea lions? How have we motivated you to share our teaching, learning, caring mission for the benefit of marine mammals and the environment we share? We'd love to hear your stories. Please email them to us at fins@dolphins.org ! For all special dolphin lovers, a week of learning about and interacting with dolphins may be a dream come true! Dolphin Research Center offers Dolphin Camp for ages 10-12 and 13-14, Teen DolphinLabs for ages 15 to 17, and then Adult DolphinLabs for ages 18 and up. Students spend their days participating in seminars, special demonstrations, environmental activities and both dockside and in-water dolphin programs. They then enjoy dinner, evening recreation and a good night's sleep in the DRC dorm. Learning has never been so much fun. There are still openings in all of the 2016 courses. All of the details, course dates, costs* and applications are available on the DRC website. Click here to find out more! *DRC Members of the $240 (Adopt-a-Dolphin Parent) or higher a year level receive a 20% discount on Adult Basic DolphinLab. Rainbow plays "Less" with trainer Linda. Research has always been an important part of DRC. After all, research is our middle name! DRC evolved out of the Institute for Delphinid Research. When DRC's founders took over the facility in 1984, research remained a high priority. We have since expanded our in-house research goals, and also worked with world-renowned scientists who have come to DRC to study our resident colony of dolphins. DRC’s research program focuses on three main areas: Cognition, Behavior and Husbandry. The mission of the Volunteer Resources Department is to assist the paid DRC staff by providing a supplemental work force capable of accomplishing daily tasks, as well as special projects. This enables the paid staff resources to concentrate on those areas where their knowledge and expertise can be put to the most efficient and effective use. Our Volunteer Resources Department is staffed throughout the year. While we do offer flexibility, most of our non-local volunteers work 40 hours per week, and a minimum commitment of four weeks is required for new volunteers. We ask our local volunteers to contribute at least two days per month. Although they do not receive wages, we do expect all volunteers to regard their work with us with the same dedication that they would extend to a paying job. DRC does not provide housing or transportation for volunteers and interns, but we will provide a list of local housing and transportation providers so that individuals can make arrangements that suit their needs. Certain tasks can be physically strenuous or even mundane, but the satisfaction that comes from sharing in the care of our dolphins can offer rewards beyond measure. Besides the great location on the Gulf of Mexico, DRC offers a casual work atmosphere with a friendly and appreciative staff. Volunteers also have the opportunity to make many new friends from around the world that share their interest in marine mammals and the environment. Learn more about Volunteer Opportunities on the DRC website. The date for the next Members Only Event is Sunday, March 6, 2016 from 2:30 to 5:00 pm. We hope that you've marked it on your calendars and plan to join us! We love the annual event when we close early to the general public to share special time with members. 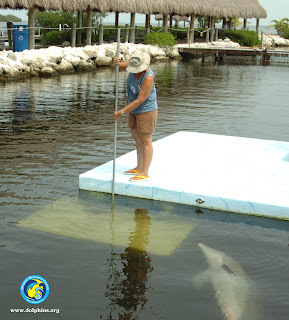 You are the people who provide so much support to Dolphin Research Center throughout the years. The afternoon includes light refreshments, special sessions to watch with the dolphins and sea lions, and a high energy presentation! Admission is free to members, of course, and you may also bring guests for free up to the number your membership normally allows. If you have not already RSVP'd to tell us that you're coming, please register today via email at drc-mbr@dolphins.org, or by calling the Membership office at 305-289-1121, ext. 229. We need an accurate count so that we have enough refreshments on hand. Looking forward to seeing you in March! Today, February 24, 2016, Cacica turns one year old! Why not celebrate by adopting this adorable baby dolphin? 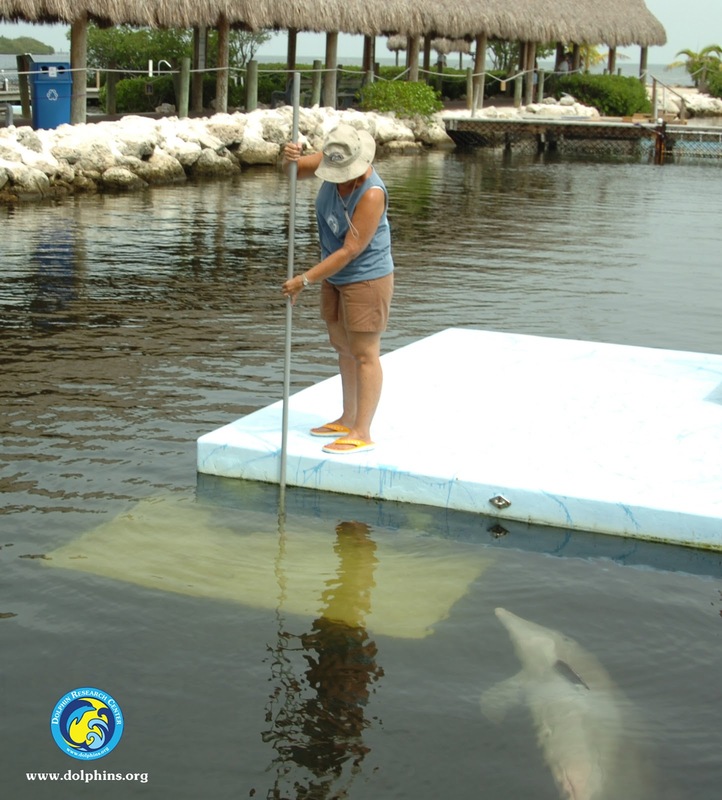 Head over to the Memberships & Donations section of the Dolphin Research Center website to learn more. Being a Dolphin Research Center Member entitles you to year-round complimentary admission, newsletters, online access to our Members Only area of the website, special event invitations, discounts at our onsite and online Gift Shops and other benefits depending on Membership level. As well as for you, adoptions are wonderful gifts for friends and family and all memberships, gifts and donations are 100% tax deductible. Thank you for supporting the DRC mission and allowing us to provide a forever loving home to our animal family.